The construction crew takes a break to have some fun. 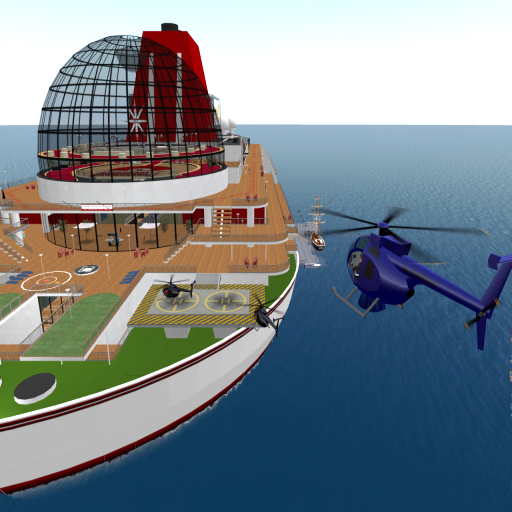 It’s also a good time to see how our sim performance is doing with our conservative efforts on prims and scripts. Bolero Group loves their vehicles and pets! 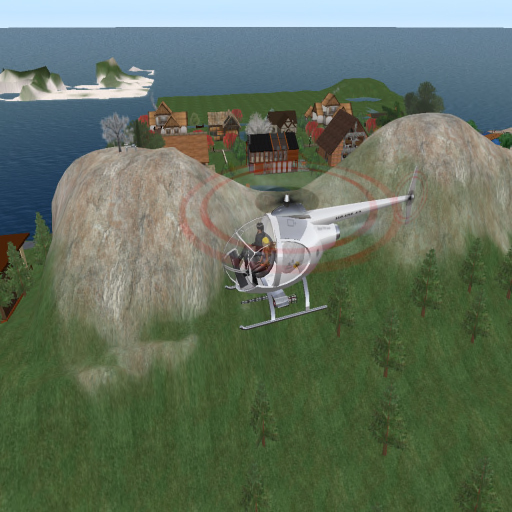 This puts much load on a sim, especially multiple avatars with vehicles or pets in numbers. 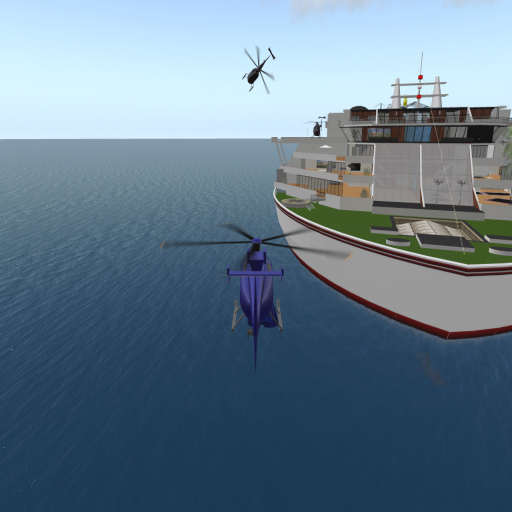 Although border crossings in SL are still often brutal to the point of crashing, we’re still able to race around the four sims on the roads and water canals. Yes! Gowns in helos. 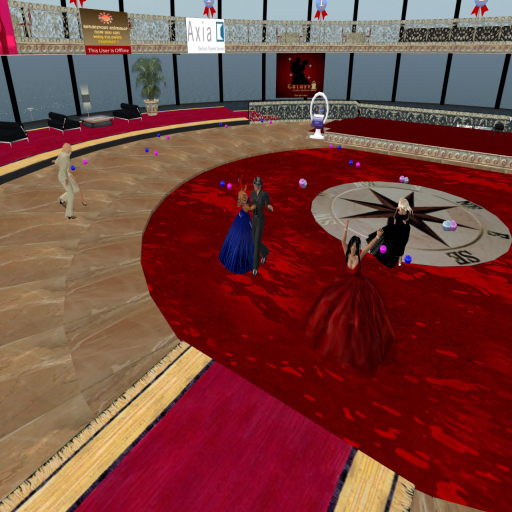 The attire was formal wear for ballroom dancing at the SS Galaxy Cruise Ship. 4 helicopters set out for another exciting BG adventure. Staging area and briefing took place at Sagittaria Airstrip. Continuing north down the starboard side. It’s just not easy to get the whole ship in one frame! then pops open some champagne. What a guy! Such class! Bolero Group members acting civilized. Rare moment. I met up with Officer Gamba the other day at the Coffee House. He had been investigating and following up on a string of incidences involving livestock attacks, arson, dangerous sharks, and a vagrant griefer. Things started when Johnnie discovered rats chewing on his house. He suspected they were planted by mischievous friends of his. In his anger of the damage caused by the rats, he morphed to Dragon and went on rampage. Through interviews and evidence, the BGPD has been trying to piece together the turn of events following. 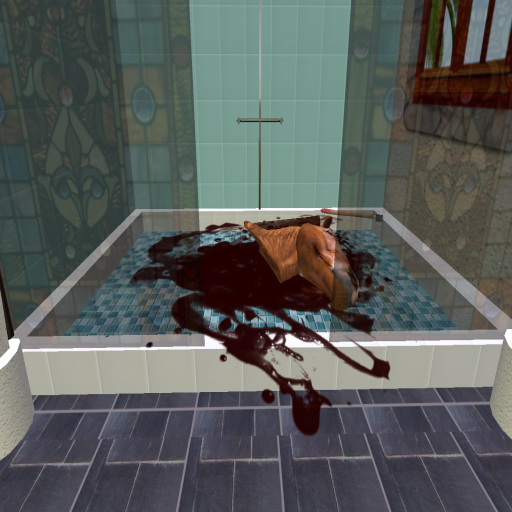 Exhibit B – A beheaded horse in Lisamarie’s shower. In retaliation for a dragon gone rogue, the mischievous ones feared for theirs and everyone’s lives. They lured the dragon into the beach house and torched it. They claimed the fire consumed the dragon for he hasn’t been seen since. The dragon could have escaped by teleportation, so that remains to be seen. Exhibit C – Johnnie’s house ablaze. Dragon perished in fire? “This kind of behavior will be tolerated. ‘Gives me somethin’ to do”. Then he took another bite of his donut. On another note, we had our first griefer on AOS. We’d like to remind you to report bad behavior immediately for quick remedy. If you experience verbal or physical abuse by anyone in the community, or outsiders regarding Utopia sims, please inform admins Cindy, Moto, Johnnie, or LoveTrinity ASAP! 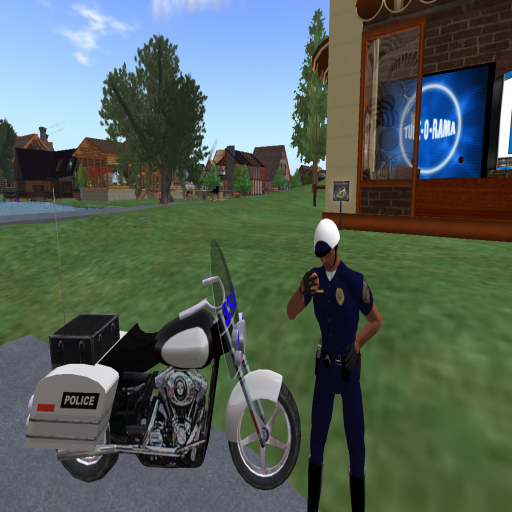 Officer Gamba follows up with Dusty regarding griefer. Remember: The one thing a griefer wants is a reaction from victims. Keep your cool and call an admin. Wow! Its been quite a challenge. There’s no easy way to install nice hilly winding country roads. 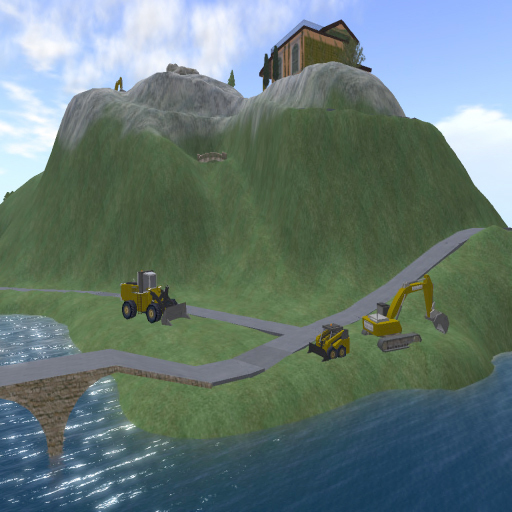 The road crew has been working diligently and wholeheartedly to produce functional and adventurous routes through the sims. If you see them out there working, hand them a cold drink or a sandwhich and let them know what a great job they’re doing. Notice the brand new airstrip on the hill! Wooo hooo! Guiled and Cindy go up for survey flight. These vehicle roads and canals are for exclusive use by BG members and the nearby communties of Wild Mustang Estates and Utopia. General public visitors are only allowed horsebackriding, bicycling, and swan boat rides. 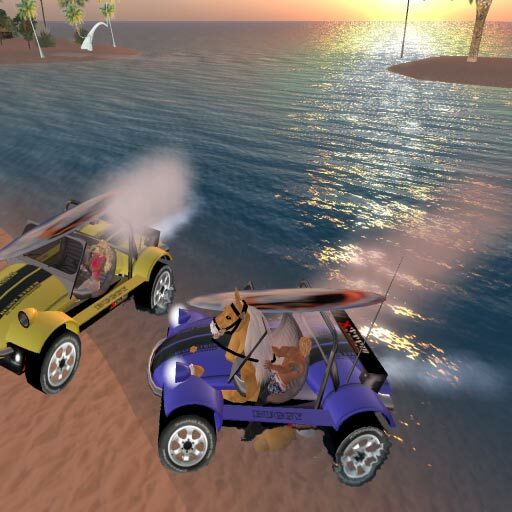 It is dangerous to leave rezzability on for strangers which would make us vulnerable to greifer attacks and crazy people driving over equestrians and bicyclists. Roads, bridges, horse trails, and builds are going in as crew members work round the clock. 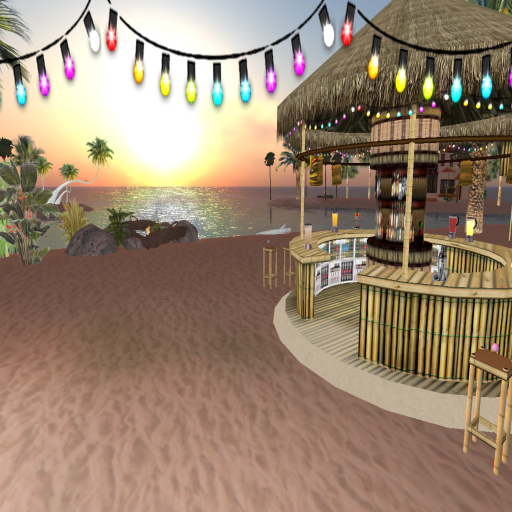 Installed so far is the Coffee House, campground, the Blue Moon Motel, and Sunset Tiki Bar Beach. Bolero Group supporting members can throw a party or gathering at any time at these facilities. Use them! That’s what they’re there for! The Coffee House is a place where you can hang out, play guitar, watch SLTV (avatar television), or watch YouTube videos, while sipping coffee and munching muffins or scones. Just outside the door is a bicycle rezzor for you and your guests to pedal down the roads. The campground features a dome tent, cozy sleeping bag, and a nice view to the northeast. The Blue Moon Motel is a work in progress featuring various theme rooms. The motel overlooks the tropical side of the sim, and in the parking spaces you’ll occasionally find cars and trucks set to group for you to try and bring back. Special thanks to Yodo who’s building the motel swimming pool while the hole is dug! Sunset Tiki Bar Beach is a place to relax or party with its full bar, fire pit, and sandy beach. Touch the blenders for some hefty foo-foo drinks, or cuddle up in the hillside tent. 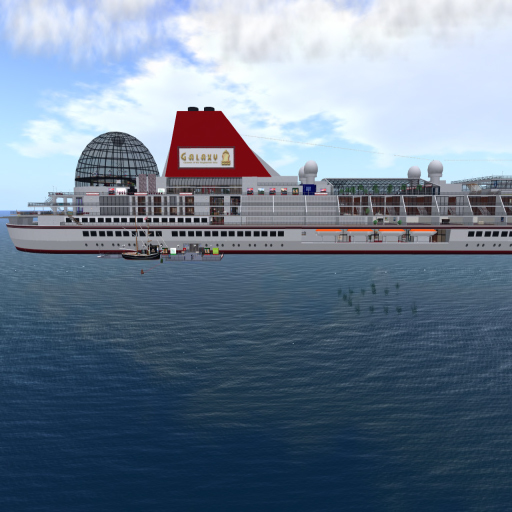 Group Marina Relocated with New Build! 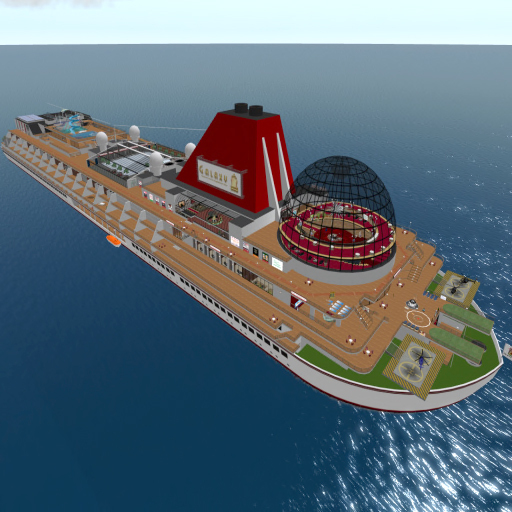 Our group marina in Azure Islands was moved over to what was formerly Robbi’s R&R Estates. Current owner Lisamarie provides the land grant for the marina so we can rezz watercraft and continue to throw our whacky parties! Moto put in a nice Spanish Villa and decking which compliments the already fantastic setting. 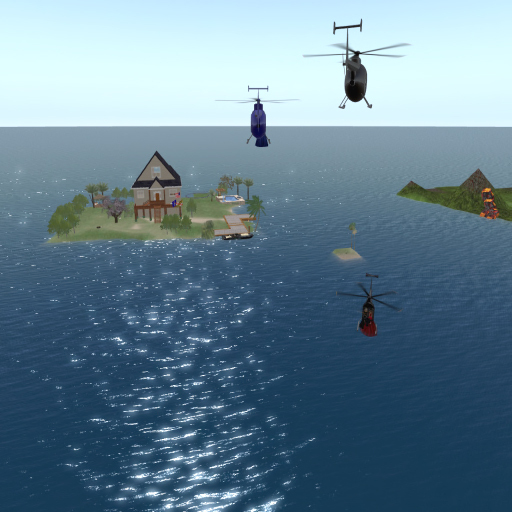 Jetskiis, quads, and seaplanes set to group are often left there for you to try out and play with. Please try to bring them back if possible so that others may use them. We also prefer our toys not litter other residents parcels as well if it can be helped. In general, the group set toys are for you to try and if you like, its ideal to purchase your own. Moto & Lisamarie enjoy a glass of wine on the deck at the BG Marina in Azure Islands. Moto does a fly-by buzzing down the beach in his Corsair. The New Sims Came Online! Yay! They’re here! The first four BG recreation sims are up! Moto brought up mountains then started shaping the land for roads, bridle paths, canals, beaches, etc. 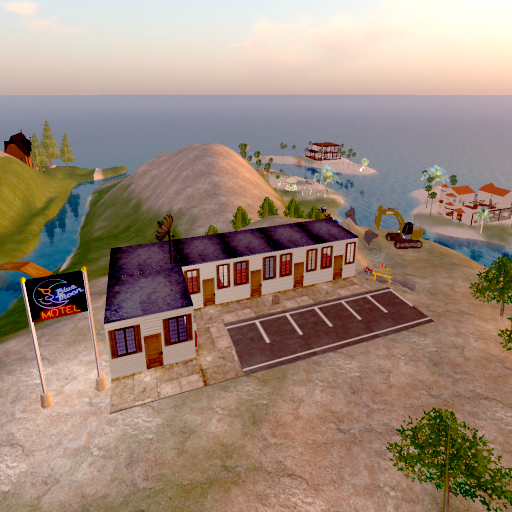 Our first task is to get home sites ready, for the members who have been in temporary housing since the sale of several of our Azure Islands beach lots. What is the general plan of these new sims? We love Azure Islands, but there were too many rules suppressing our creativity there in the strict residential zoning. We needed sims where we didn’t have to worry about impacting others with our gatherings, and where we could also have less limitations regarding terraforming and builds. Our concepts and ideas for builds called for eight sims, but for now we have four in this first phase of development. Those of you who are waiting for new sims and homesites with us, your patience is deeply appreciated. In the meantime, we will make the best of the four sims under development and soon we’ll be partying and playing our butts off again! Woooo hoooo! 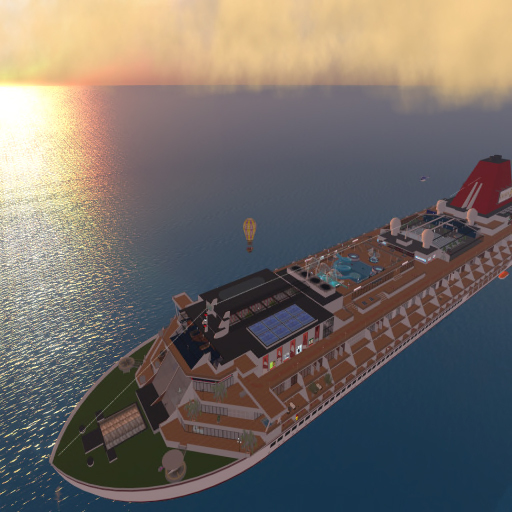 Our theme is “Road Trip” with sights and builds for you to visit to relax, party, hang out, or do activities. While we aren’t able at this time to do all the builds planned. We will put as many as prims allow on the these sims for now, until we can get more sims online. Special thanks to the sponsors of these sims! Marrissa & Spin, Charmayan, Beverly, Anya, BigOlBear & Maurina, Johnnie, Lisamarie, and especially our hosts, Chanta & LoveTrinity of Utopia Estates. Hiphip hooray! 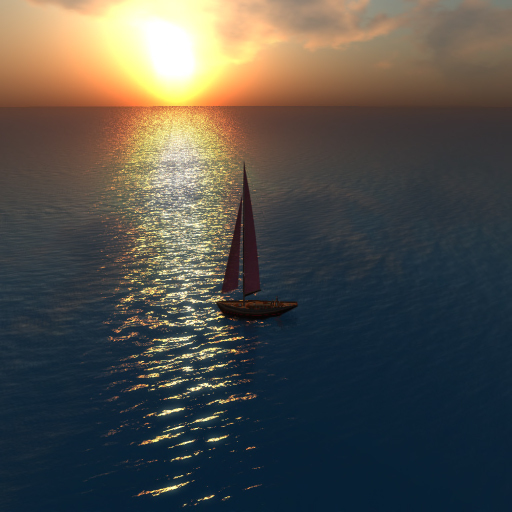 Captain Johnnie Snook is our resident yachtsman who competes regularly in Secondlife sailing races. If you get a chance to crew for him, its quite a ride! 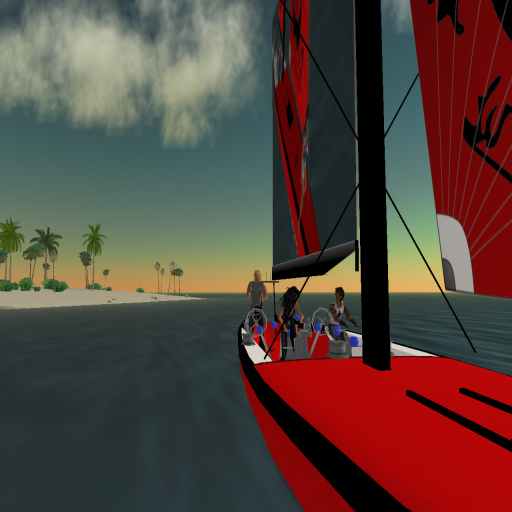 He has collection of some of the finest and fastest sailing boats in SL. He’s always up for a cruise or racing practice. As the Bolero Group just passed its one year mark, so are many of our members! Wooo hoooo! The cake was originally planned for some of us girls to jump out of it and dance. We didn’t expect the whole party to jump onto it and continue to dance on it for the next 5 hours! Ken put on a fireworks show so good it crashed the sim! That didn’t stop us from coming back and partying our butts off. 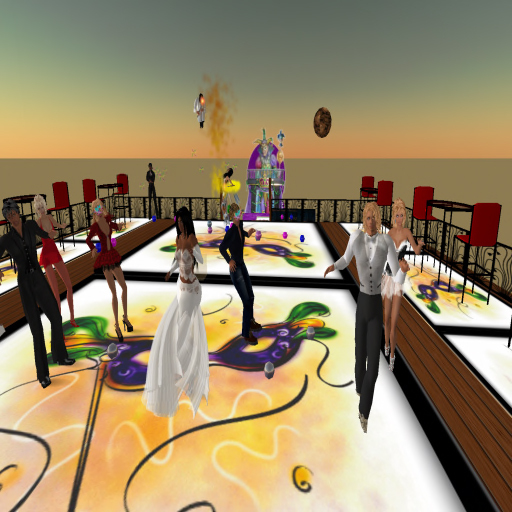 Beverly hosted a Mardi Gras celebration gala. The attire was formal including traditional masks in the nice setting on a sky platform. Fine food, party favors, and dancing were followed by fireworks!